A fun but projective technique workshop that makes you get in touch with your feelings and drawing them on paper. This workshop has the ability to cut through blocks, barriers and negativity and bring out your deepest feelings. It will energise and heal at the same time. Mandalas are powerful tools in themselves which bring about a sense of peace, inner recognition and wholeness. Learn to create mandalas with paints, colours for every mood. Let your mandalas talk for you and express what you have wanted to say but never been able to. Mandalas have known to help in pain, distress, and illnesses and boost self confidence, and inculcate a sense of inner peace, stability and joy. Have fun learning how to draw your feelings and connect with your inner self in this beautiful process. Mandala is the Sanskrit word for circle. The mandala originated from Hinduism and Tibetan Buddhism. The mandala is used as an aid to meditation. 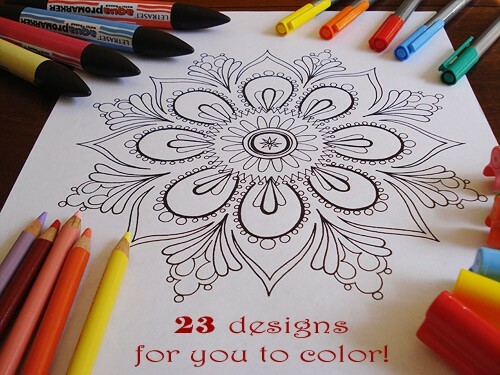 The colouring of mandalas can be very relaxing and will improve concentration. Mandala is one therapeutic art form. Art in itself pleases, appeases and reaches out to many at different levels. When any kind of art can draw out what is within to make things better and make a difference to the person, then that form of art becomes therapeutic. There are no boundaries to any art in that manner. A circle of completeness is what mandalas are all about. The circle represents continuity with harmony and a sense of balance. Drawing of mandalas is a form of self expression and bringing to the surface what is buried deep within. It is a means to express what is happening at another level and learn to work with it It symbolizes inner meanings, associations and truths. Some are very painful and some insightful. At the time of drawing mandalas, the person needs to focus and flow. This is not about constructive and proper drawing. It is about bringing out feelings, emotions, thoughts on paper in the manner in which once can relate best to. 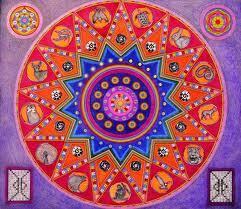 A mandala brings about awareness and is also a form of expelling what needs to be changed or worked upon. The ability to bring out one’s pain, hurt, anger, distress, despair, frustration on paper in the form of drawing, painting patterns or designs or figures in a round circle refers to drawing a mandala. With focus and intent, mandalas can also show us the way and bring about the beginning of changes in dealing with our relationships. Each person will connect personally to his own mandala. Each mandala is different and unique in its own sense. Every brush stroke, every pattern or figure drawn symbolises something to the drawer. Many people manage their anger by drawing anger mandalas. They keep their anger in check in this manner. Some deal with loss and grief by drawing manadalas which reflect their state of mind. With the passage of time, healing takes place until one day the person may find no need to draw any such mandalas again. The creative process brings about changes in a person’s psyche as well. Able to go within oneself and get in touch with things that require finding solutions. Bring out from deep recesses of oneself to the surface. Help to put closure to, change or end a chain of events. Aide in dealing with situations that one may feel one has no hold over. They provide inner strength and energise from within.